Following the results of a D.D.A. Audit, Studio Four were appointed to address the shortfalls highlighted. 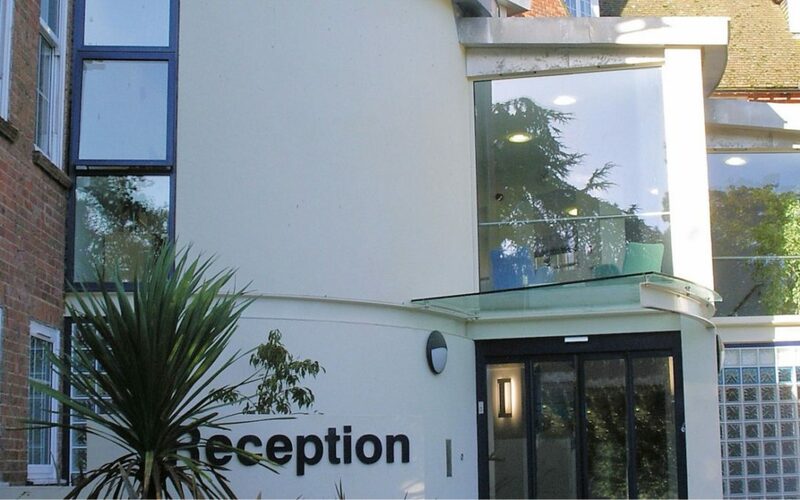 The scheme was to provide a new reception with disabled access and prominent focal point to which the visitor will be drawn on arrival at the campus. The reception’s concentric curves house respectively: outermost – the stairs and lift, the entrance, and innermost – the curved reception desk. The ICT Centre foyer was re-arranged to include a feature stair and lift. WCs were extended and refurbished and a 3-storey lift provided to the upper floors.